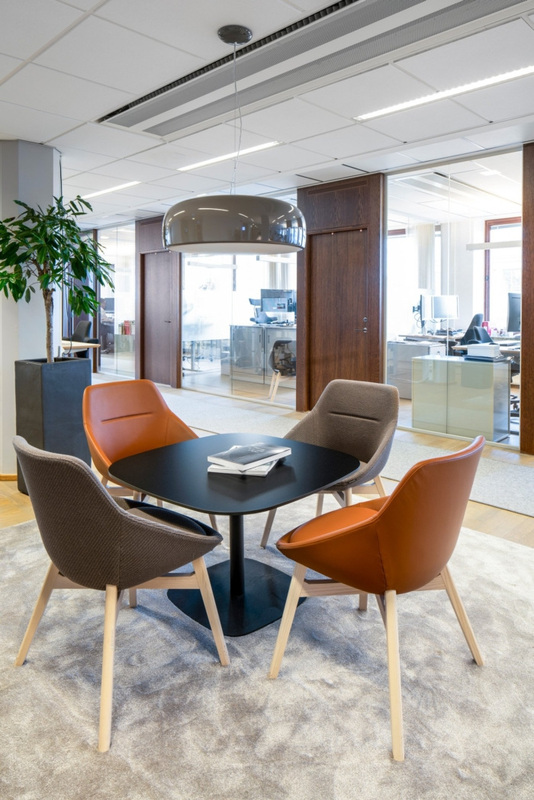 Strategisk Arkitektur worked with a leading private equity firm to renovate their existing facilities on Kungsträdgårdsgatan in central Stockholm, Sweden. The office has two floors, with a fantastic terrace and view over Kungsträdgården. 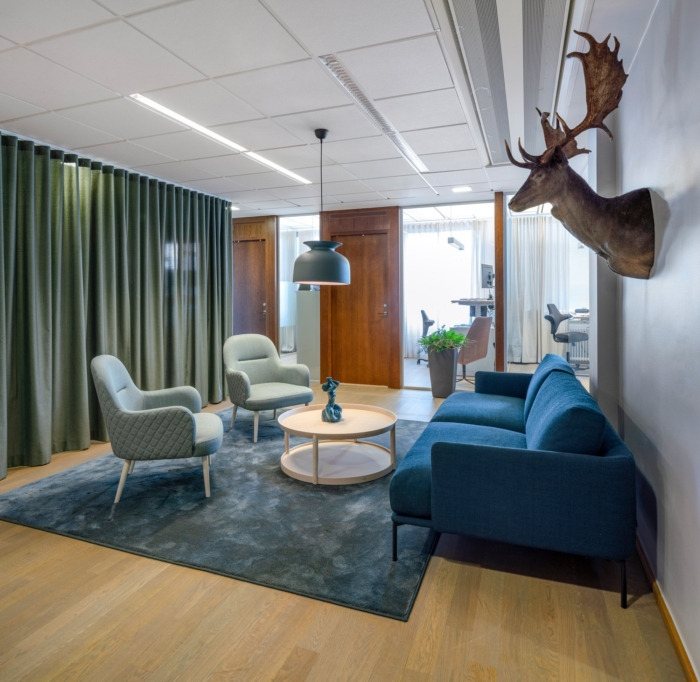 The wish was a modern and inviting office with a well-planned design that attracts new employees and contributes to increased collaboration within the company. The office has been given varied environments for different types of work. Smaller office rooms are complemented with open office space and lounge areas for more cooperation and team spirit. The concept follows the equity firm’s brand guidelines with blue as a leading color. To preserve the history of the building and amazing original materials, details such as wood paneling in teak and natural stone have been highlighted and become a part of the design concept. Furthermore, lighting and design details transform the office into a pleasant and harmonic work environment. Overall, the whole office feels balanced and calm with modern and comfortable details. The sensation that permeates the house from the 1940s melts together with the office environment and creates a stylish and comfortable meeting between an inherent story and modern ways of working.